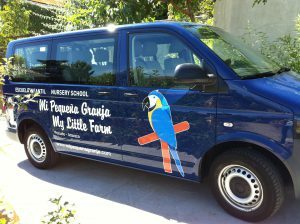 It´s possible to organize a school-route transport service from your front door in Pozuelo or Aravaca to the school. Drop-off and pick-up will be strictly done by parents or persons duly authorized. This service will be reserved in advance.